We've been given boxes after boxes of LEGO bricks...trying to piece them all together. It's a blessing but also a great challenge ! That would be Attack On Weathertop, from the Lord Of The Rings series. 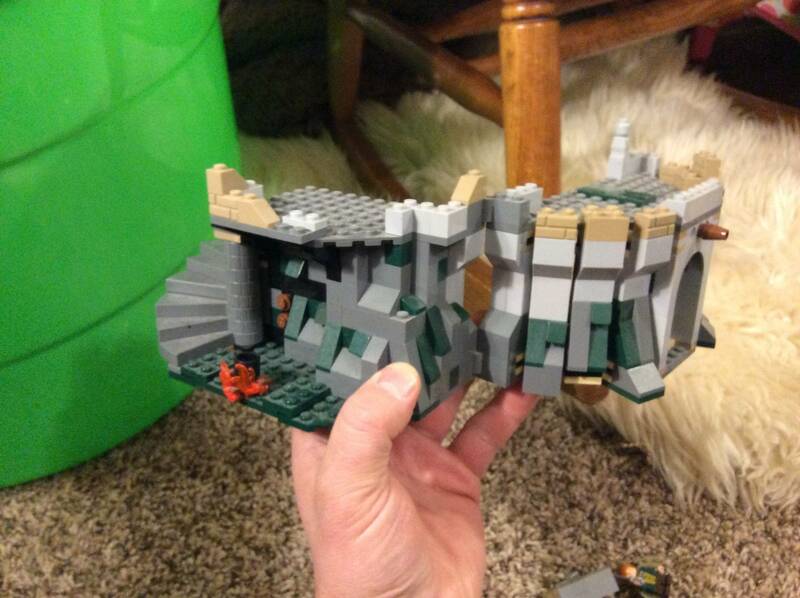 Looks like it's missing a fair few pieces, but it's still mostly intact. EDIT: Oops, top picture didn't load before I posted. 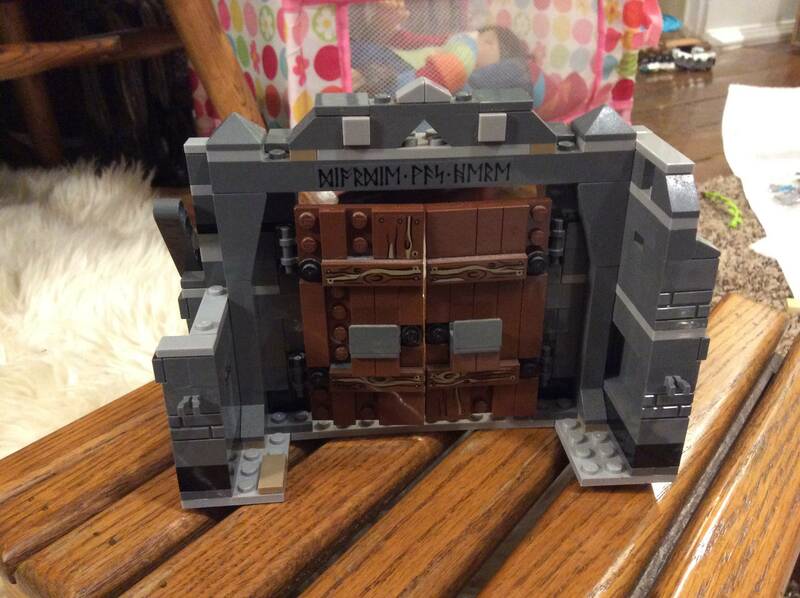 The gate is from Mines Of Moria; the fold-out hill is Attack On Weathertop. As per Lepidolite Mica's answer, the bottom picture is from 9472 Attack On Weathertop from the Lord Of The Rings Theme. 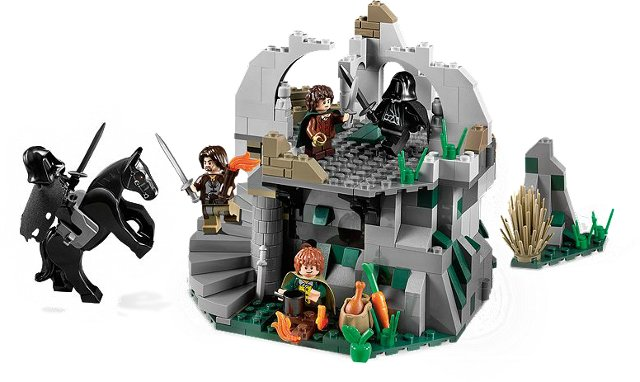 The top model is from another LOTR set, 9473 Mines Of Moria. Neither of these sets are complete in your picture. 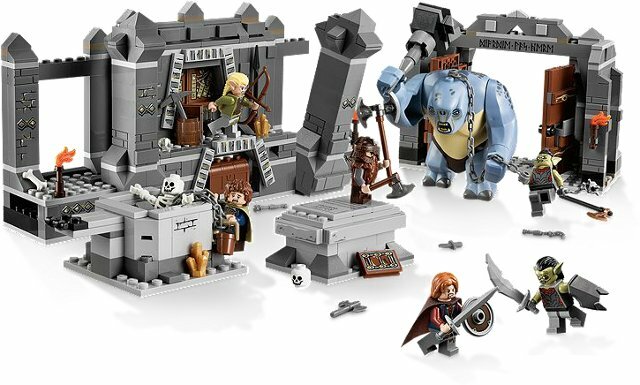 Which set did this sealed bag of mostly grey LEGO bricks come from? Please help identify this set with red, black, and lime colors?